Does our obsession with Social Media messaging mean the end of good writing? Such a great question from Emphasis that I used it to kick start this article. Communication is key in life. Not only within our personal relationships, but definitely within a business environment. It is safe to say that the way we communicate with each other has changed drastically over the years. Long, very long gone are the sending a pigeon and following short on its footsteps we can even count writing a letter as something that is beginning to disappear. Nowadays, we live in an (mostly) electronic world. Apart from our personal lives being organised via an electronic device, a very big part of our work are conducted electronically via a keyboard. It is this last mentioned task that, in my opinion, is becoming a talking point to take notice of. So many of people around the world go about their every day duties with an electronic device in their hands - or pockets/bags at least. It is therefore much easier to get or keep in touch with others than ages ago. More so, it can be done almost instantly, as you all know by now. “What is the issue?” you may ask. Well, it is not that we can respond easily, it is how we respond that is my focus point. Being regularly on social media platforms it has become obvious to me that many individuals tap or type away without taking much care of how they write. What matters to them is the fact that they do communicate and not how they do it. Time and time again one will stumble across social media posts that harbours incorrect spelling or incorrect grammatical usage. Digging deep into some research, it has become clear that there are many educating institutions that have already talked of late about the writing element while we are speaking to each other. Teachers and Educators seem to address this issue which means they are questioning the way we are moving forward on an educational level. Amen to that! As a strong believer in dotting my i’s and crossing my t’s, it has been more than frustrating on many occasions to see online posts not adhering to the correct usage of words - whether that is in sentences or on-word responses. Along with this kind of behaviour, one also has to put up with grammatical errors. There is an age-old saying: read between the lines, however, struggling to figure out what someone is telling you via the lines is (personally) a waste of time - in particular within the world of social media. After all, social media communication is suppose to be in the KISS form (Keep It Short & Simple), right? Not only is it easy to draw a different conclusion to what the writer intended, it also can easily give the reader the wrong impression of the personality on the other end of the phone. This observation can quickly be pushed aside by saying that we are friends so he/she knows what I mean. Rightly so, but what about those who do read your work and is not at all a friend in real life? Furthermore, when it comes to those who are shouting from the rooftops about their milestones, their achievements and mostly (even if it’s indirectly) about what great influencers they are, is it really such an enormous task to make sure your content is grammatically correct when published? Take for instance an Educator (i.e. a person who provides instruction or education; a teacher - via dictionary.com)... surely this person has a responsibility (at least) towards his/her students. Around 50% of teachers admit they reach out to social media to have a better understanding of their students’ culture. Has it ever occurred to you as a tutor, that the reverse can happen? If your students take on board your irked grammar behaviour, are you really succeeding as an upstanding pilar of society? 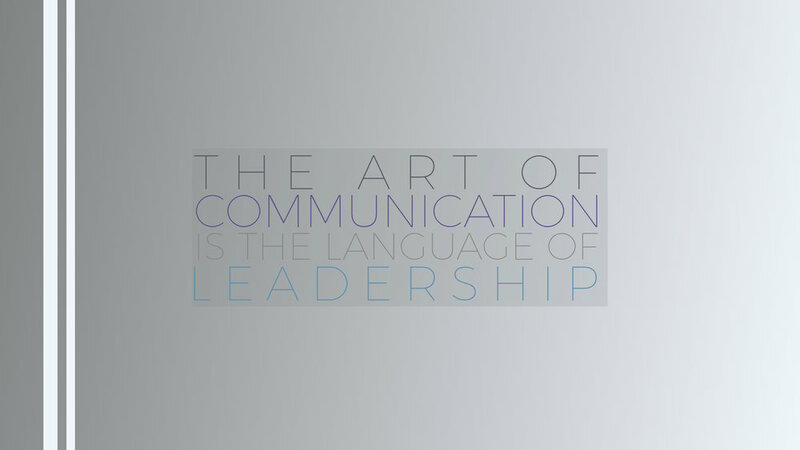 At the end of the day, my question is: as a Leader, how much do you respect the language you are using to communicate with others? We all know that once it is published, it’s basically out there forever. We can delete here, there and anywhere we can find, but somehow somewhere someone will find our original post. We all have a native tongue. Personally, this language I communicate in 100% of my everyday is not the one I was born with. And there are millions of us around the world in a similar situation. However, living in a society that is becoming more and more global it has become the norm to talk to each other in a universal language. Nothing wrong with that at all, but do we honestly have to walk around showing little respect for the language that is bringing us all together? What if the English language is the glue that keeps the world go round? The manner in which the English language is being used over the last few decades, is a true indication of how long it is been here and most probably how long it is going to be around for. Far is it for me to be such a stern critic, but if us humans, and in particular those who count themselves as upstanding citizens, cannot adhere to a simple task of delivering their words in mint condition, then where is this all going to end. None of us are perfect. That is a common fact. We are all human and we make mistakes. That said, I personally don’t believe we can use that as an excuse to set a bad example. My point is that it is so easy nowadays to distribute content electronically. All we need to do is take good care of how we put it out there for all to see and read. The main issue with not taking care of how we communicate with words is about to whom we aim our knowledge / points of view / insights etc. towards. It is quite possible for a big majority of your readers to be of a younger age than yourself. This is great, because we would like to advise and help others by sharing our wisdom with them - especially if one is in an environment of mentoring or coaching and teaching. Not much give more satisfaction than assisting others with reaching their potential. If we feel so strongly about how much value we want to bring to others’ lives, then why not feel strongly about the manner in which way we will give value to them. For those who will end up in a professional working environment one day, it is definitely a sure thing that they will not get away with using inappropriate language when engaging with fellow colleagues and/or clients. No company will put up with the use of slang or abbreviations in emails, incorrect usage of grammar in presentations and definitely not if you have a bad telephone manner. Those of us out here that wants to share with the world what we’ve learned so far in life, has a responsibility to do it correctly. After all, a Leader should be someone who Knows the Way, Goes the Way and Shows the Way. Can you believe it? 12 months are almost done and dusted. How time flies. There is the saying… time flies when you’re having fun. Can you describe the past year as fun? We are all aware fun comes in all shapes and sizes. Yes, maybe it has been an excellent year within your business so the fun could well be your business’ Christmas party. On the other hand, maybe you’re sitting right now wishing it could’ve been so much better - not being able to convince yourself there were much fun this year. Whichever way we look at it the mere fact that you and your business have lived through the last 12 months should be seen as a great achievement. The level of your survival is of course important, but whatever that level ended up to be should in some way be celebrated. The important fact is that steps were taken. It is always very beneficial if the steps were moving you forward and ahead of where you were last year this time, but if you moved backwards, one should address the situation in the same positive manner. Getting to this point in a year it is good to asses both sides of your story. There are reasons for you being where you are right now. Look at where you’re standing today and question yourself on how you got here. Through detangling the hows and whys you are able to learn and gain information. Only then the situation will make sense - a lot of sense. Personally, this year could really have been much better financially. On the other hand, it was a great year filled with education and experience. Even though the money didn’t roll in there is a distinct feeling that one is much richer this time round than last year. Even though on paper it doesn’t look that great, honestly, there is a feeling of being far better off now then last year which is causing a tremendous emotion of achievement. The information gathered over the past few months alone can only be good for the mind, body and soul. The time has come to draw the curtain on this year and get ready for a brand, new chapter in life and work. So there will be celebrations and the joining in of the festivities. The immediate surroundings have been decorated with true Christmas spirit and a feast is being planned for Christmas day. Even a few gifts have been obtained which is about to be wrapped and will be handed over with a smile. Thanks for the support received this year. Thank You for reading. Thank You for commenting and ‘liking’ on social sites. Thank You for the reassurance that the chosen path is the right choice made. One feels Blessed and Fortunate. And very Happy and Excited.